Professor Dineva is a seismologist working in the area of mining induced seismicity. 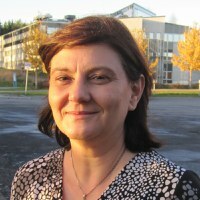 She is currently a professor in the mining department at the Lulea University of Technology in Sweden. We recently collaborated on the research project Rock mass behaviour at Sweden’s Kirunavaara mine.